A clean environment is important to the residents of Ontario. As Canada’s most trusted brand in home safety, First Alert is dedicated to protecting the environment, and leading the way in sustainability. The Zero Waste program is Canada’s first national program allowing residents to recycle their outdated alarms. 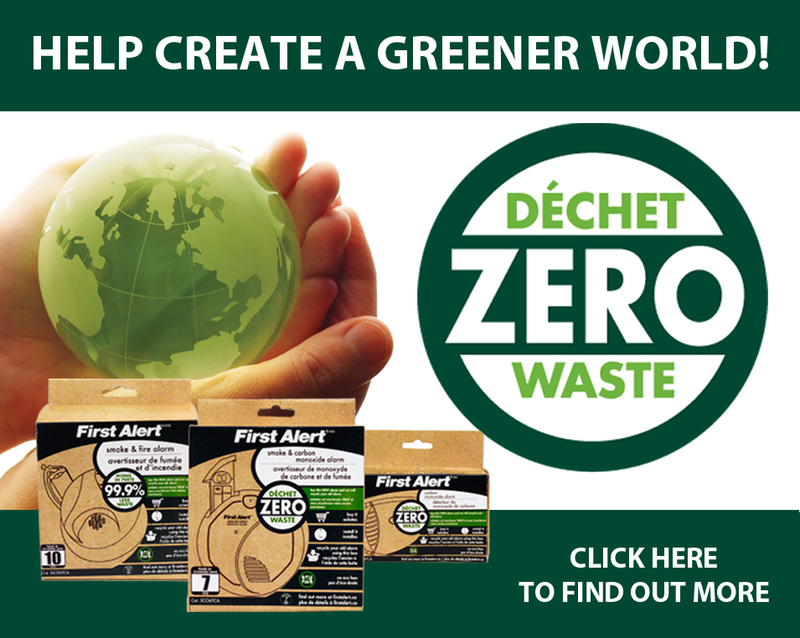 With no added “Eco Fees” or any other costs to the resident, First Alert will ship the alarms from the Zero Waste Depot to the recycling facility where the alarms will be recycled. The recycled materials are used to create dresses, building materials, water pipes, even shoes! The goal of the Zero Waste program is to reduce the amount of smoke and CO alarms headed to landfills by over 300,000lbs each year. Zero Waste depots gain the appreciation of their community through this simple and easy to execute sustainability effort. Becoming a depot has helped fire services to keep fire safety top of mind for residents, draw the public to the fire hall consistently throughout the year, and build on the success of hazardous waste drop off programs. Becoming a depot is easy. Simply send in the First Alert order form found on our website. 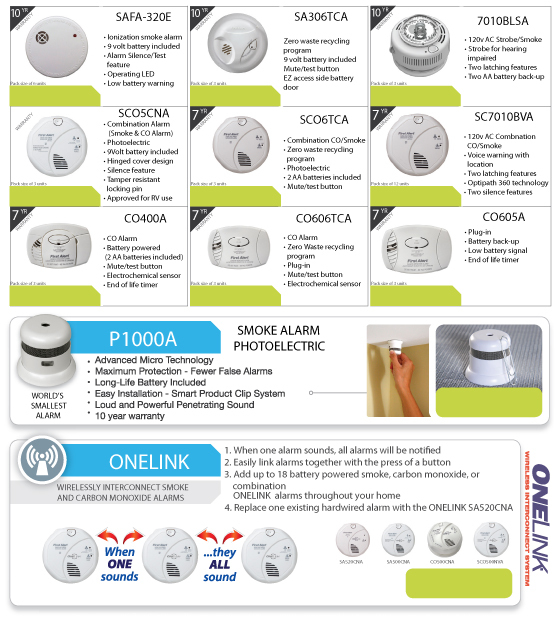 First Alert will ship all the tools and information you’ll need including signage, pamphlets, and bins for returning recycled alarms. Included in the depot package is program information, recycling bin and safety brochures. For your special OAFC member rate, please ensure that you are logged into your OAFC member account. Once logged in, you will have access to the Order Information page (will show on the navigation menu on the left side of your screen). If you require assistance logging in, please let us know.